Curve studied by Euler in 1744, Sturm in 1840. Other names: rectangular Sturm roulette, harmonic elastic curve. The right lintearia is the lintearia (or elastic curve) the inflexion points of which are orthogonal to the translation axis. With , we get the complete curve as , where q is an integer. Curvilinear abscissa: ; radius of curvature: . The right lintearia is the locus of the centre of a rectangular hyperbola rolling without slipping on a line, hence the name of rectangular Sturm roulette. It is also the solution to the following calculus of variation problem: finding a curve with given length L joining two (variable) points A and B on a (fixed) line (D), for which the rotation around the line (D) generates the solid with maximal volume. Note that the curve with given length L joining two (variable) points A and B on a (fixed) line (D), delimiting the maximal area, is a semicircle. This property could explain the shape of the cornea (see this article), and that of an inflatable Mylar balloon (see this article.). Below, a comparison of the right lintearia, the semicircle, a square, and a rectangle, joining A to B. We write b = AB/2 and a the distance of the furthermost point on the line joining A and B to (AB). The area delimited by the curve is noted S, and the volume of the solid of revolution V.
The maximal volume is obtained with the lintearia, but among the rectangles, the maximum is obtained with the square. The maximal area is obtained with the semicircle, but among the rectangles, the maximum is obtained with the double square. 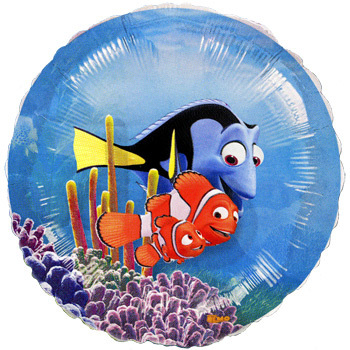 Balloon composed of two Mylar disks sown together along the edges and then inflated. 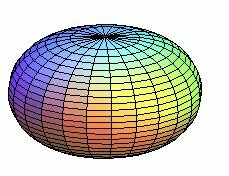 The balloon inflates, but since the material is not extensible, the initial radius of the disk becomes the length of the profile curve.